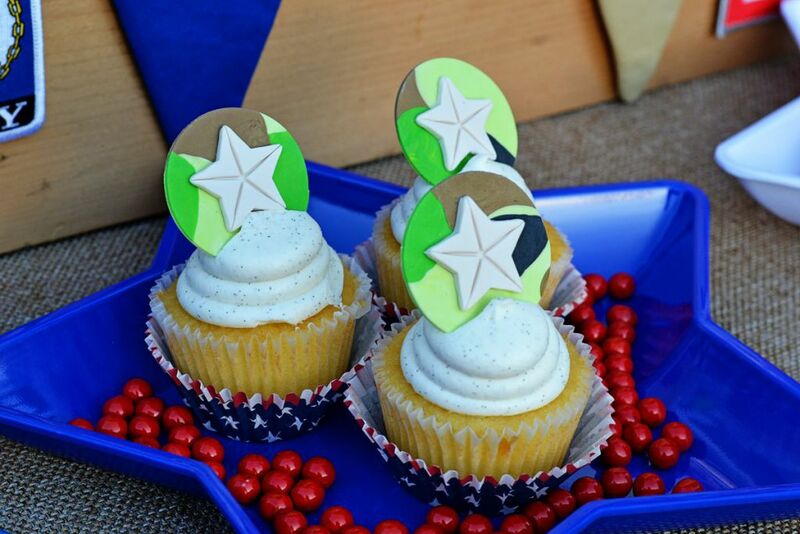 Click here for Brittany’s post about a 1st birthday party she designed featuring Caillou! 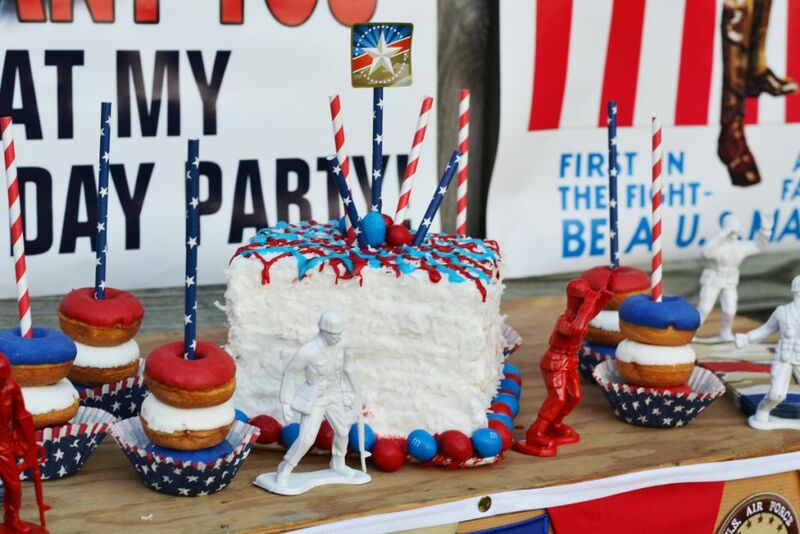 Click here for a closer look at BirthdayExpress’s new Camo Army Soldier party theme and supplies! What little boy doesn’t love to play soldier? 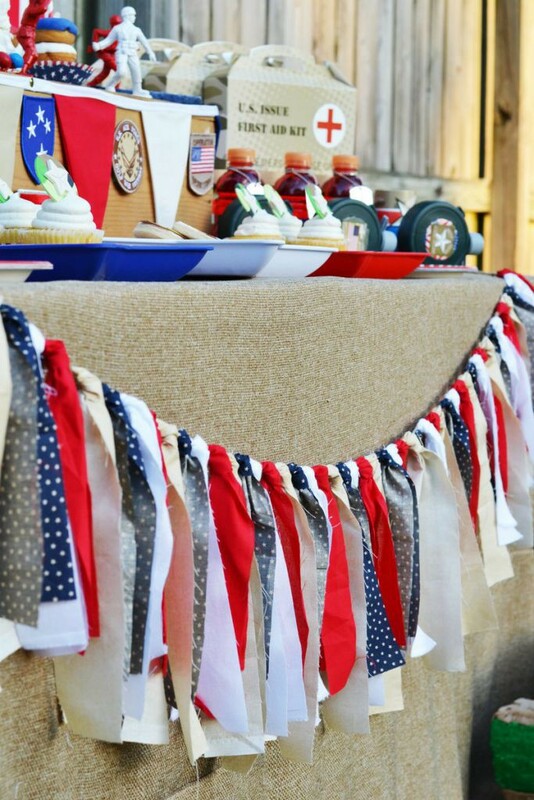 It’s a timeless theme and it’s also a perfect summer party theme, with Memorial Day and Independence Day around the corner! 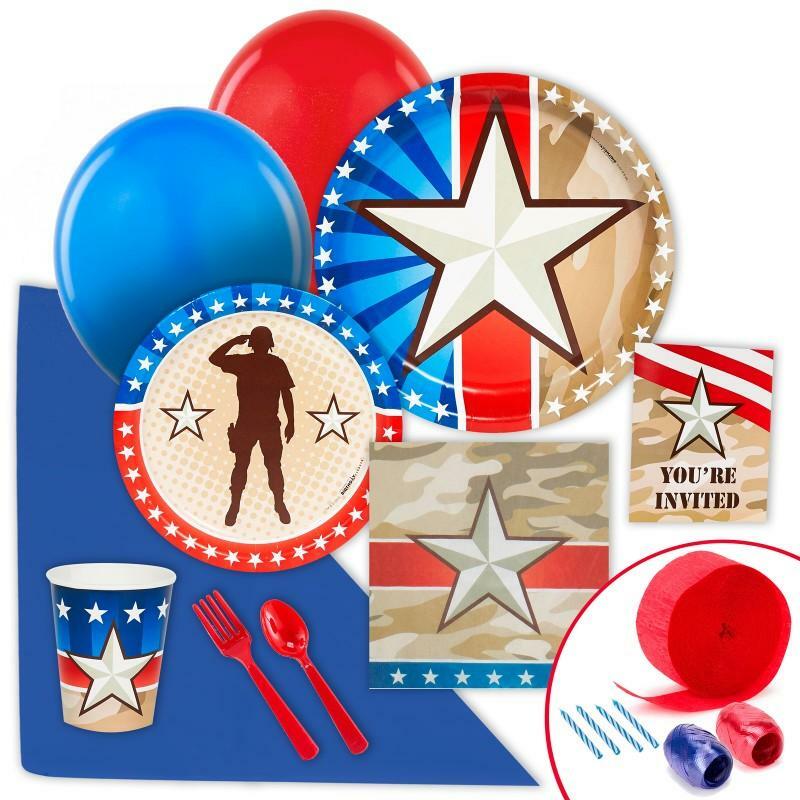 And in a great example of perfect timing, Birthday Express has introduced a brand new Camo Army Soldier themed collection with a patriotic twist! Instead of being the traditional camouflage colors, this theme is red, white, and blue with a sand colored camouflage. Get everything you see in the picture above in our Express Value Pack! 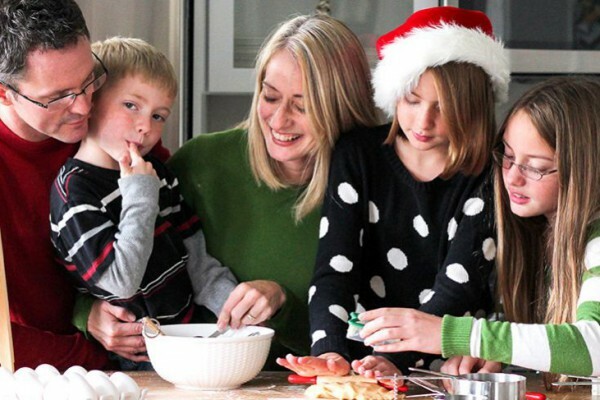 I love this idea because it lets you bring in more fun, bright colors and it’s so easy to find accompanying red, white, and blue décor during the spring and summer months. I am a big fan of all things retro-related. I love the 1940’s WWII era fashions and art. So, I thought that a perfect backdrop for this party would be some reproduction posters from that era. The smaller posters are from my local Army surplus store, which I highly recommend as a shopping location! 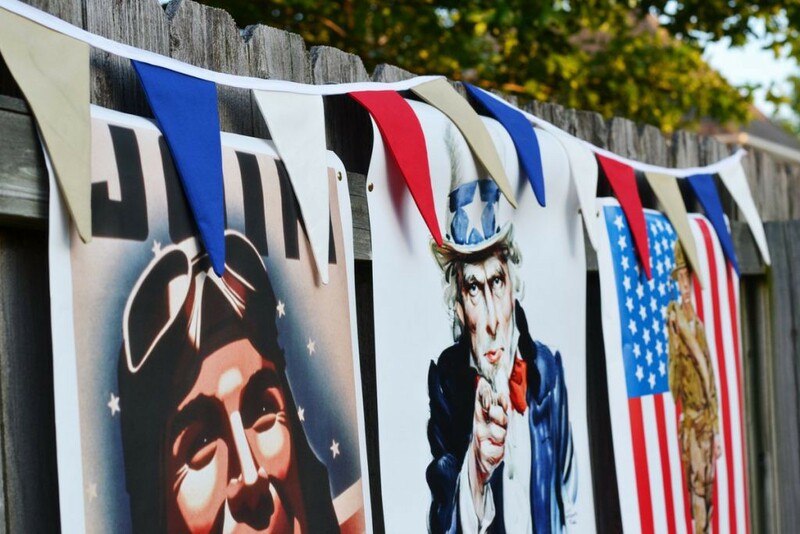 The large one in the middle is from Zazzle, where I had it customized to read “I want you at my birthday party!” Uncle Sam is, of course, a classic image to use for your little soldier’s party! This is an Army theme, but I threw in lots of other military details as well, including patches for the Navy, Marines, and Air Force. This theme could really be customized for any branch of the service. I also picked up these patches at my local Army surplus store. 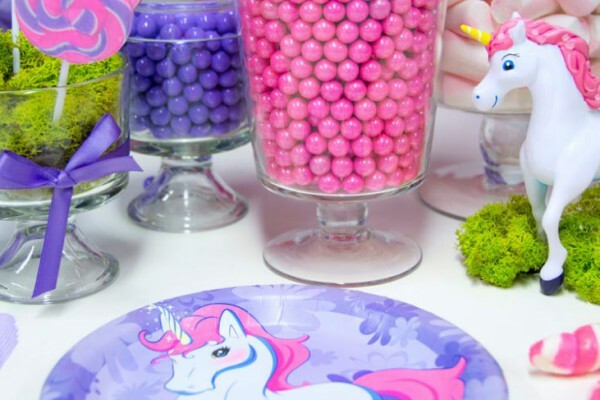 This party used some very simple grocery store and dollar store elements that you can easily recreate. The star plates and the army men were both from the dollar store! I spray painted the army men in red and white to match my theme. The big wooden box that I used as a riser was bought from a local resale site. The cake is actually two frozen coconut cakes that I picked up at my local grocery store and then made into my own layer cake. 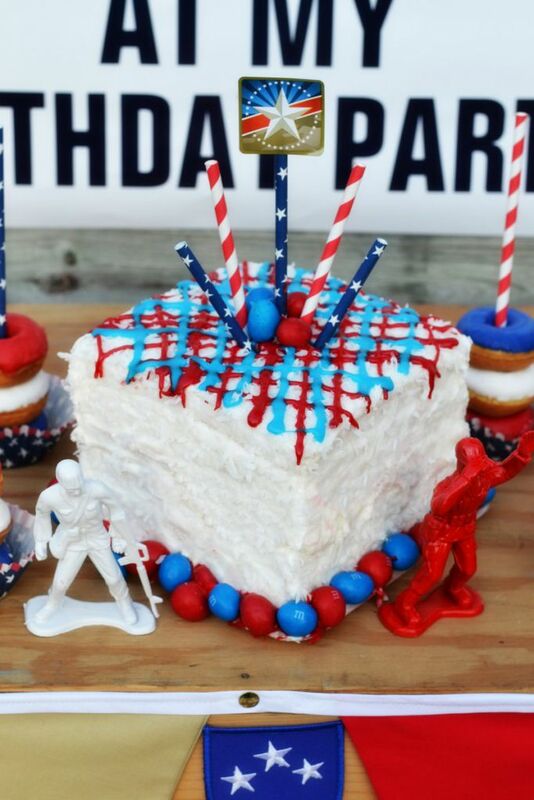 I bought red and blue icing and made a fun pattern on the top to customize it and then I added some paper straws and some of the stickers from the Army collection to make my own cake topper! 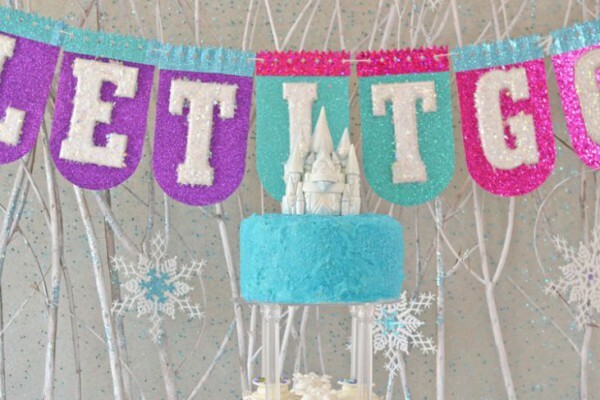 To dress up this party, I used lots of different fabric textures. My friends at Sweet Georgia Sweet and Lillypaul Designs made these fabric buntings and banners for me. I also rented the faux burlap table from my local party rental company. 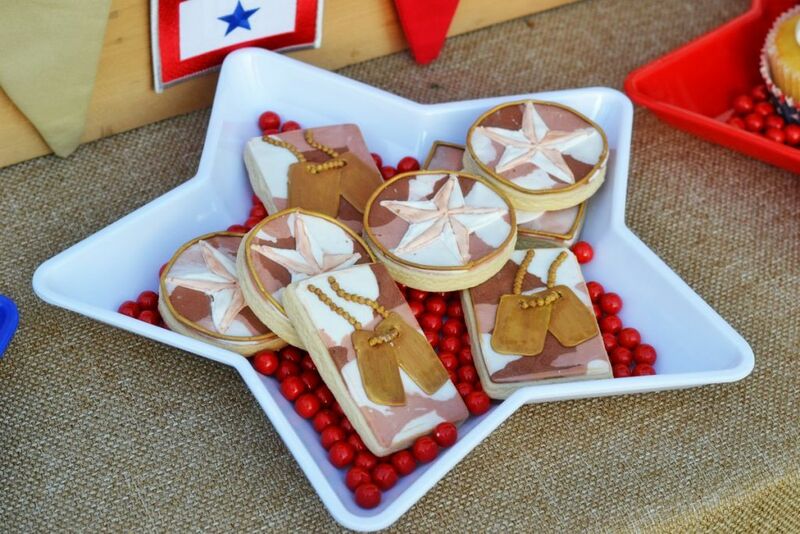 Edible Details, Sparkling Sweets Boutique, and Creating Awesomenessity made these awesome sweets for the table. 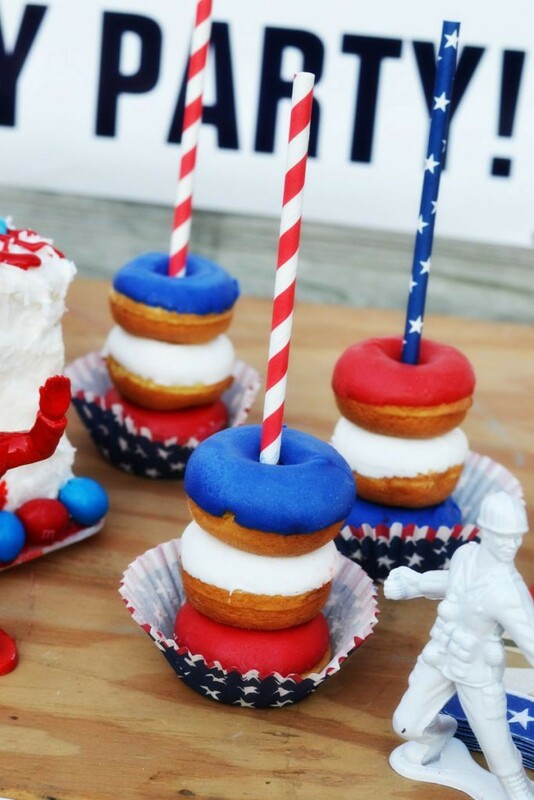 How adorable are these stacked donuts? I displayed them in a cupcake liner with a patriotic paper straw. 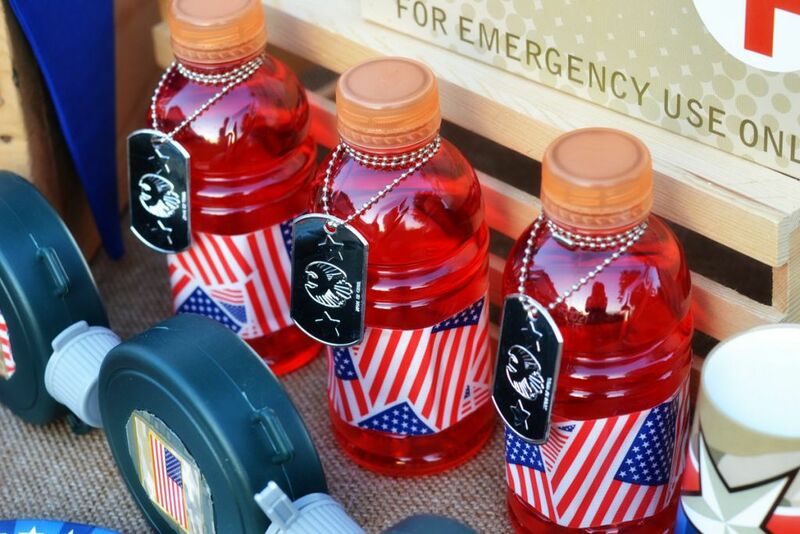 For the drinks, I picked up some red sports drinks and removed the labels and replaced them with patriotic duct tape. For extra cuteness, I added some plastic dog tags around the neck of the bottle. 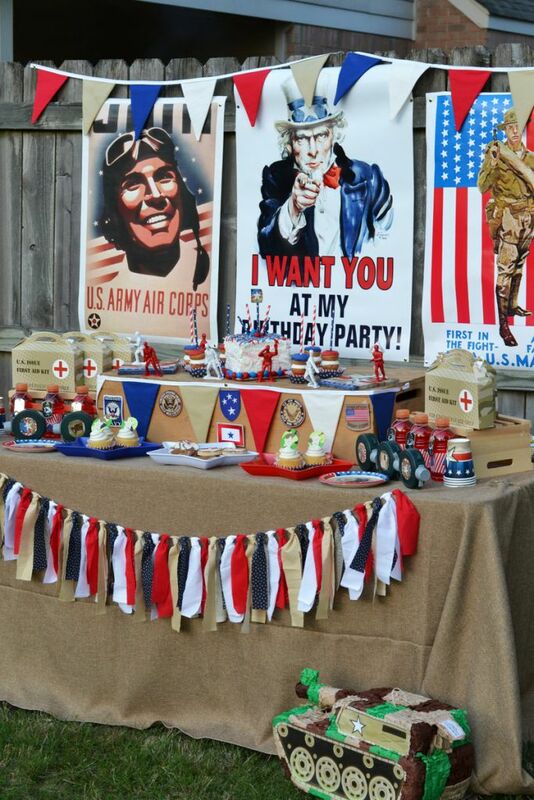 One of my favorite party of the Army Party collection is these awesome favors! What little guy or girl wouldn’t love these cleverly designed first aid kit favor boxes? 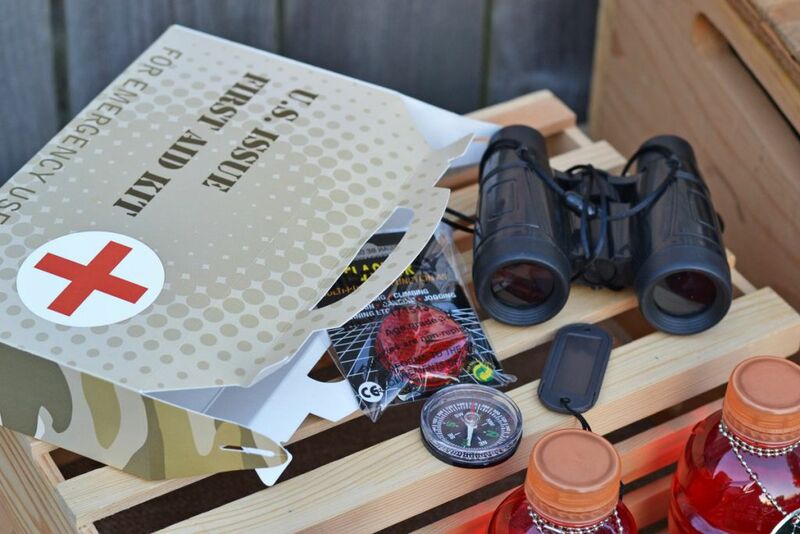 They come filled with all kinds of goodies like a compass, working binoculars, a flashing red light, and some plastic dog tags. 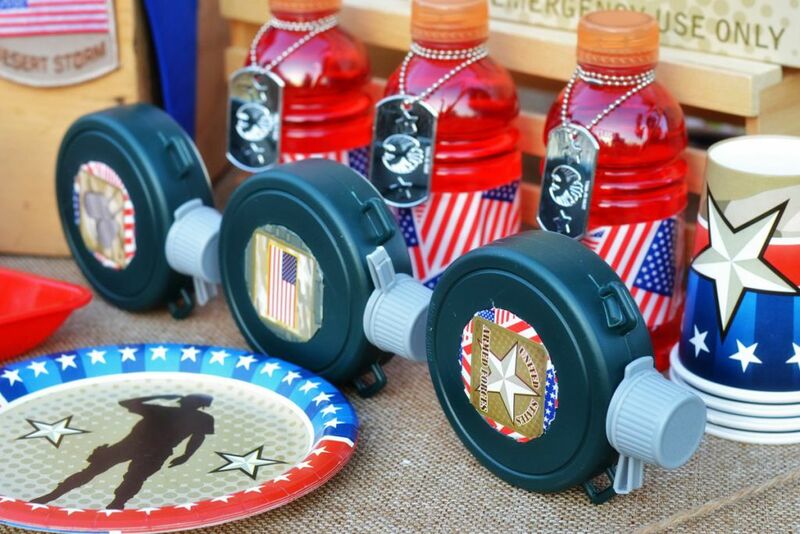 These canteens are also a great added favor for the kids! I added some of the stickers from the collection onto the front of the canteens to dress them up a little bit. My three year old wanted one of these so badly! 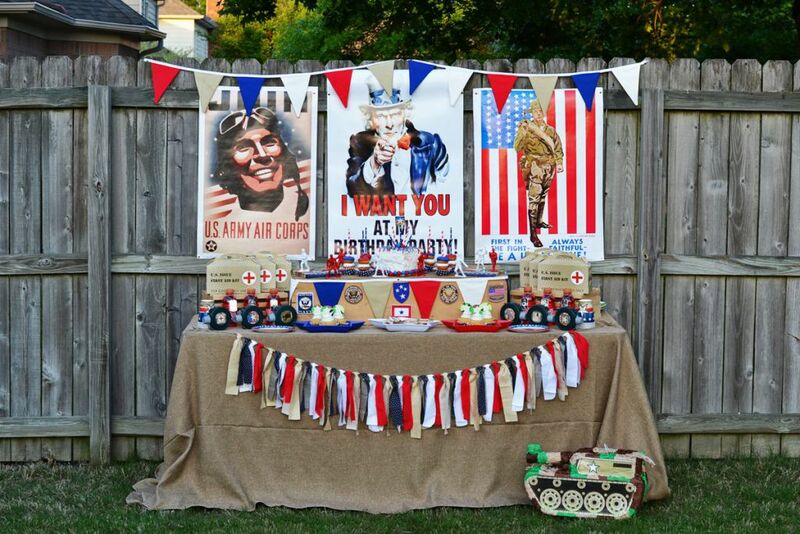 I hope this gives you some great ideas for your little soldier! Hooah! 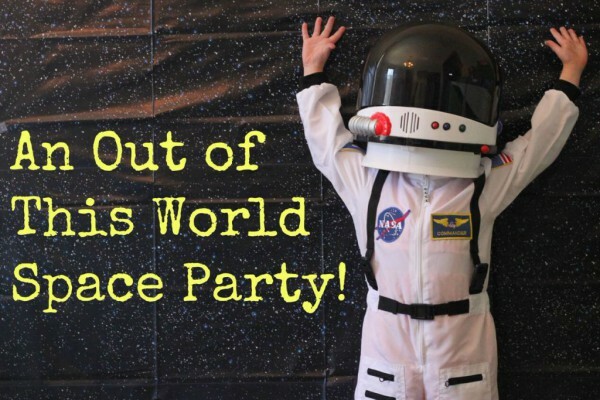 I’ll be back soon to talk more fun party ideas! 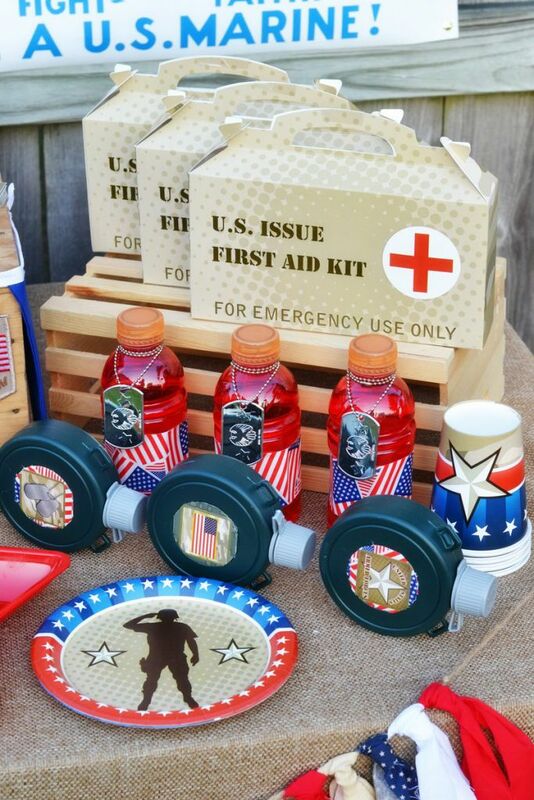 Check out all of the products in the new Camo Army Soldier theme at BirthdayExpress.com! 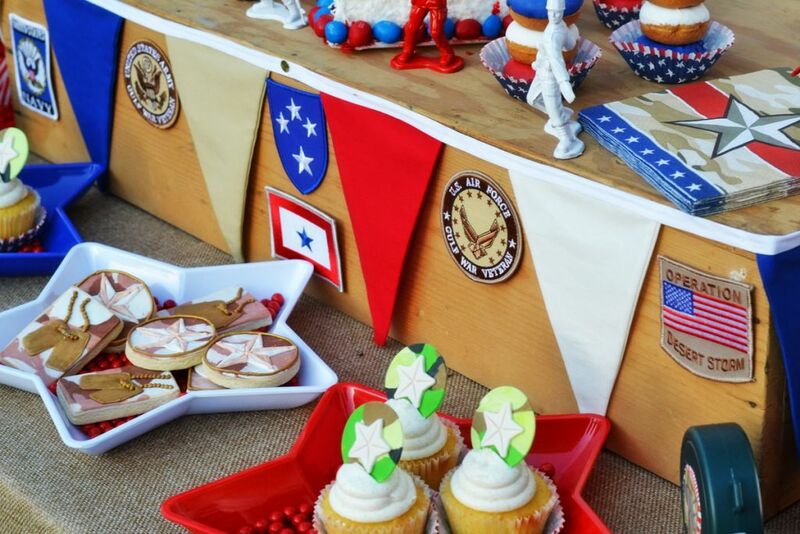 Has Brittany inspired to throw a Camo Army soldier party for your little general?